Drive through Boulder’s beautiful landscapes in a new Acura ILX from Fisher Acura, your trusted Denver area Acura dealer. Learn more about the 2018 Acura ILX performance and view our current inventory of new models below. 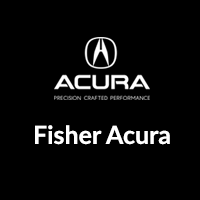 Why Buy an Acura ILX from Fisher Acura? After you value your trade, visit Fisher Acura near Frederick and Thornton to finance your next Acura ILX with us! While you’re here, check out our guide to the Acura ILX performance features.